Myki Fines: Know your rights! ''When I got my first and only ever myki fine the day before my birthday in November 2015, I panicked. I knew my rights, but having three Authorised Officers stand over you is scary, especially when you're already stressed and in a rush. I had just run for the tram to make my pre-exam block uni class after discovering my bike tyre was flat, and forgot my wallet. I was offered the on-the-spot penalty fare, but luckily I knew that if I took it, I wouldn't be able to appeal the fine. When the fine arrived, I applied for internal review because of the exceptional circumstances of the day, but was rejected. Eventually, a Magistrate dismissed the fine. I only knew and could assert my rights because I was in the midst of putting together a website about myki fines. I was part of Liberty Victoria's Rights Advocacy Project, and we had teamed up with Julian Burnside QC to help commuters who faced unfair myki fines. After undertaking legal research about the myki fine process, we decided that we wanted to translate the legal jargon so that commuters were informed of their rights. 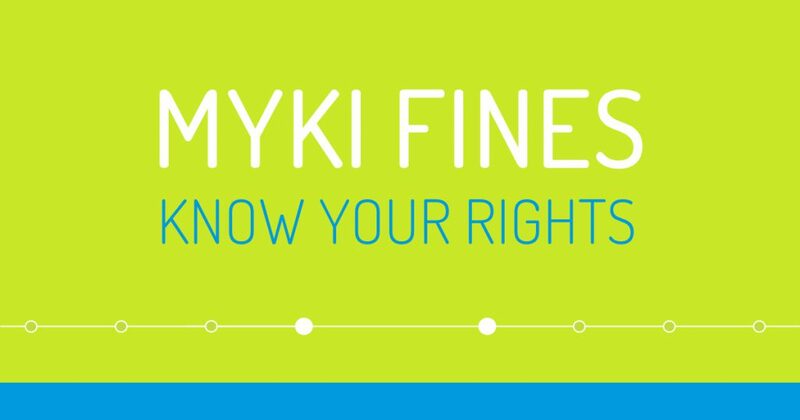 We created www.mykifines.org.au - a website that is simple, easy to use and gave commuters an understanding of their rights when faced with deciding on a $75 on-the-spot penalty fare. On 6 April 2016, we launched the website. On launch day, more than 35,000 visited the website, and a month later the government announced it was scrapping on-the-spot penalty fares on 1 January 2017! This great news also meant our website would become redundant.